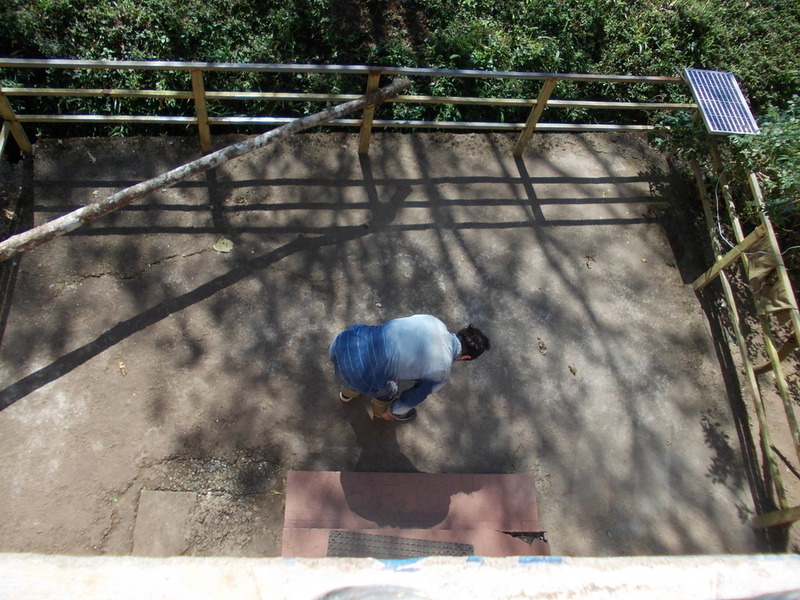 “Sand, sand everywhere, not drop of water.” Joseph, the owner of out tree house at Munnar was recalling the days spent in Middle east. The glass ceilings soar sky high. In the evening, it is all lit up with bright fluorescent colors. He worked there for the larger part of his life, reared three of his children with the wife, made a fortune for the family. And all the while, he had longed to hear the noise of crickets from the backyard. The crickets are quite the partiers, making the most of magnificent backyard Joseph has, in the mountains, amid the woods, in the coffee estate. I reached out to the penultimate banana for the dinner, in accordance with the local customs. Bite on the butter like fruits that melts in your mouth, and you shall know the real reason why Joseph has returned. 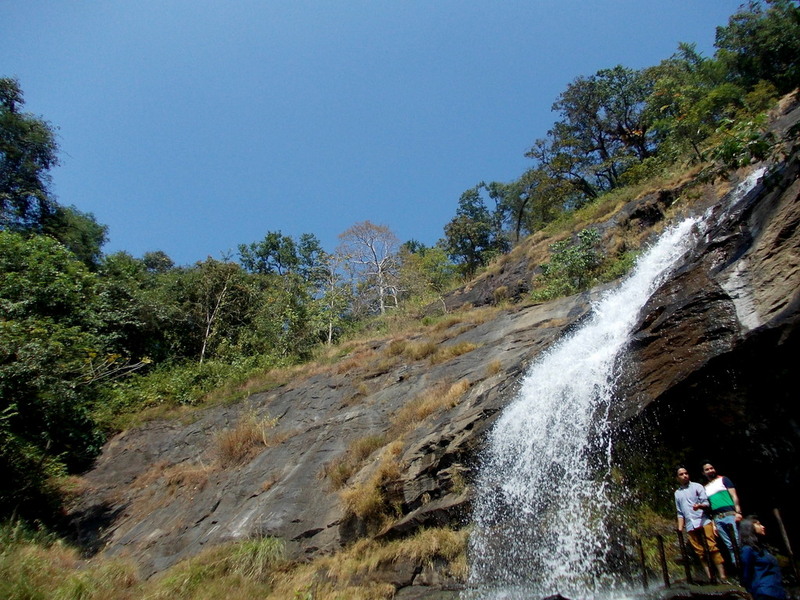 Though that has hardly anything to do with the regular activities in Thekkady designed for tourists. 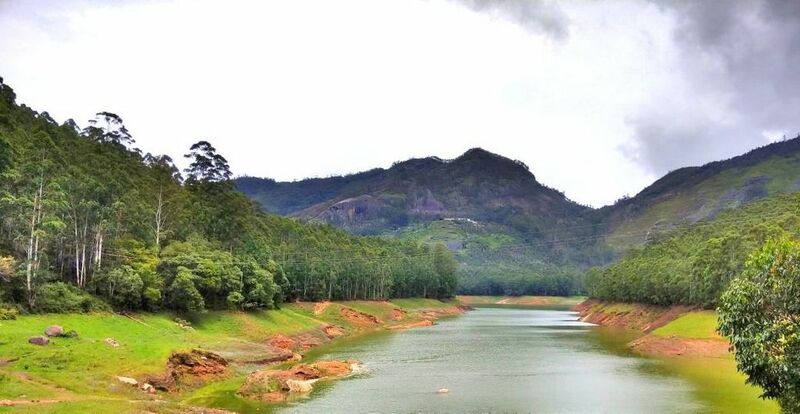 From Kerala, Thekkady was the real charmer, not even Munnar! The nights are calm and pitch dark. Once in a while, I used to wake up in the middle of the night only to find my mind in a limbo, where the sound of Kathakali Melodrama or a hissing houseboat reaches from a distant, and hardly ever instills the need to pace up. 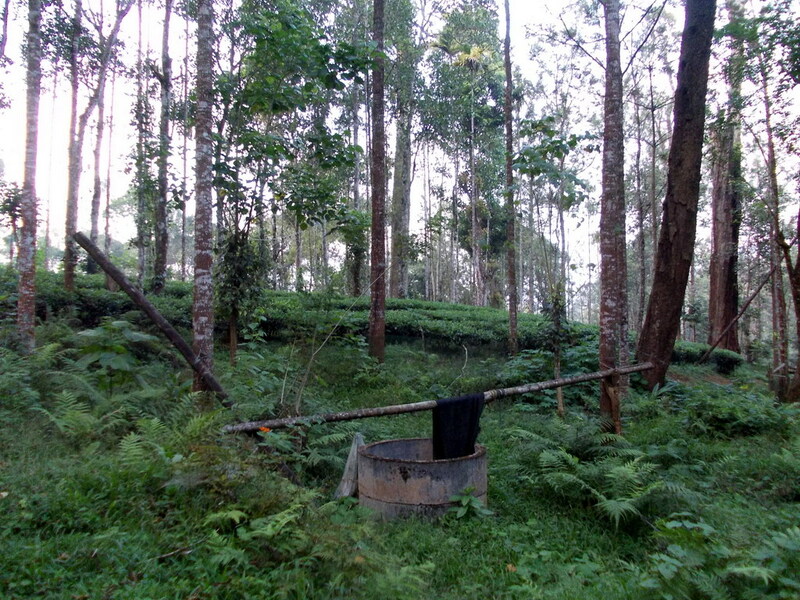 There is a well somewhere in the coffee estate. It is covered with a black cloth. The owner keeps a gun. I saw his wife pull it out in the dinner table as something moved at the backyard. “A fox, he has been eyeing the tortoise for long”he had reassured. The little tortoise seems quite relaxed with humans around, in solitary pool existence. His creep is somewhere in the wilderness of Neelakurinji fields. 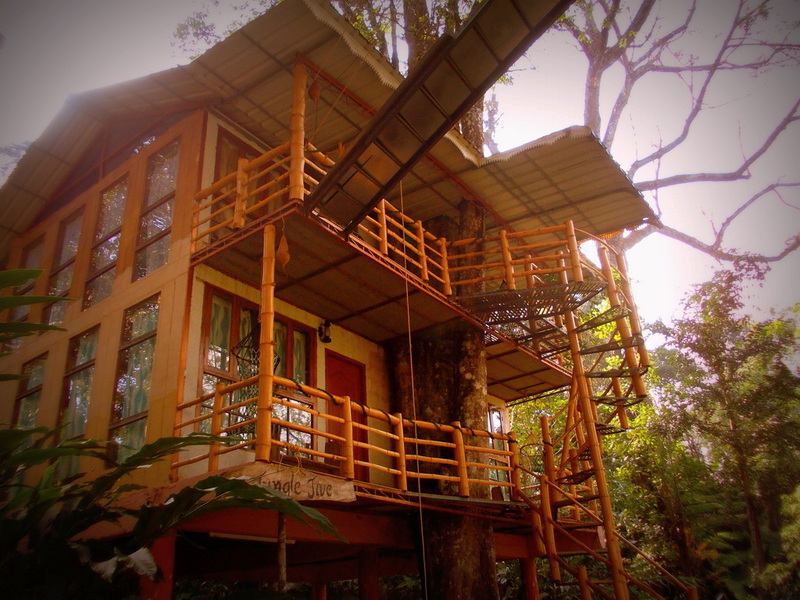 My Munnar tree house stay was one of that straight out of Murakami’s novel. 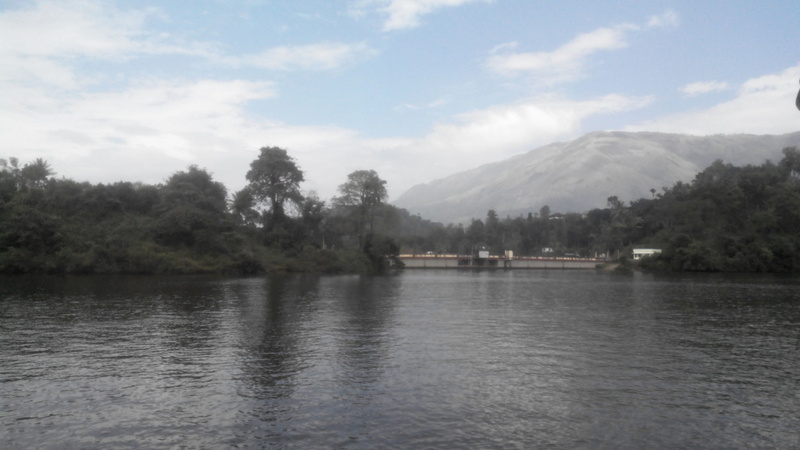 It is marooned far away from the hustle and clumsiness of Munnar town. 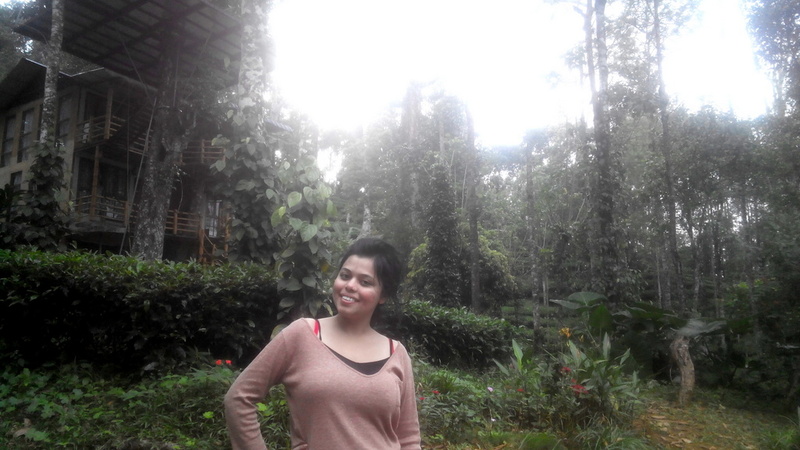 No wonder all my desperate scrambles to run away from the touristy traps of Munnar was aimed at the tree-house. December has had me longing for the white fragrant flowers scattered on the pavement for long. They will bring a mellow and sombre mood along with, can only be compared with fond memories. 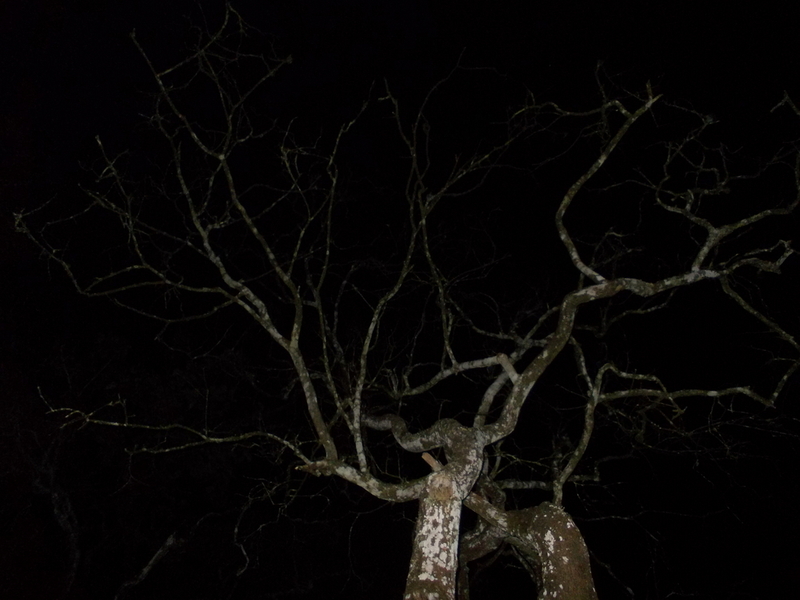 Memories of a child, astonished, gazing beyond the humongous mango tree, standing tall with scars all over the trunk. 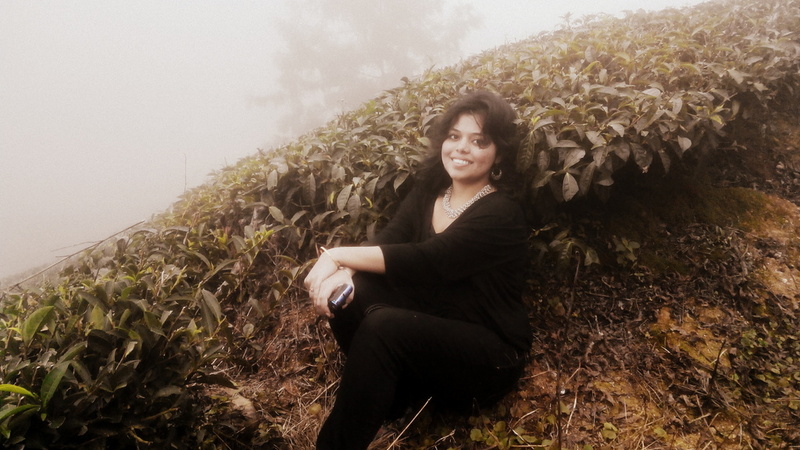 Once a grown lady, I could only chance upon to bask in the fragrance while I was traveling the uneven terrain of Munnar and Thekkady, the wilderness that Nilgiri mountain is. There is no dearth of water-bodies here. 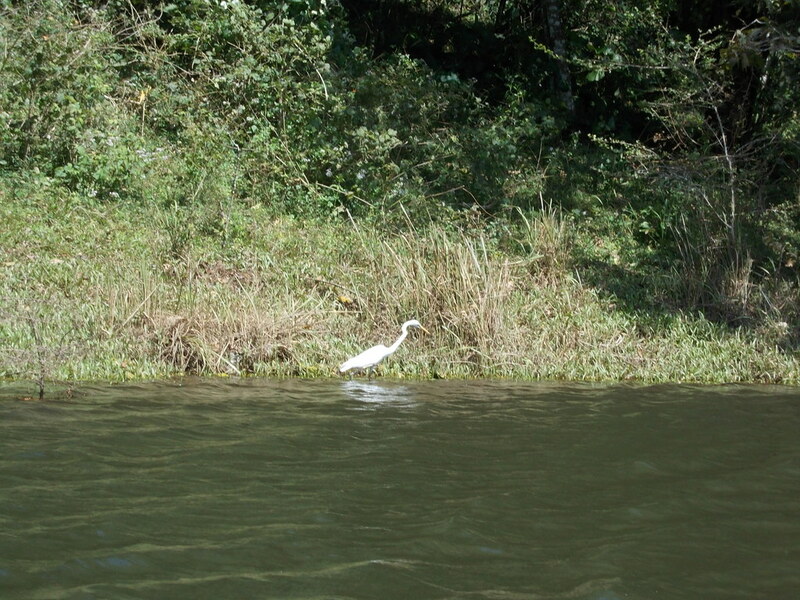 Hence one of the major touristy activities in Thekkady remains to indulge in boating. Can you ignore this beauty? ever? 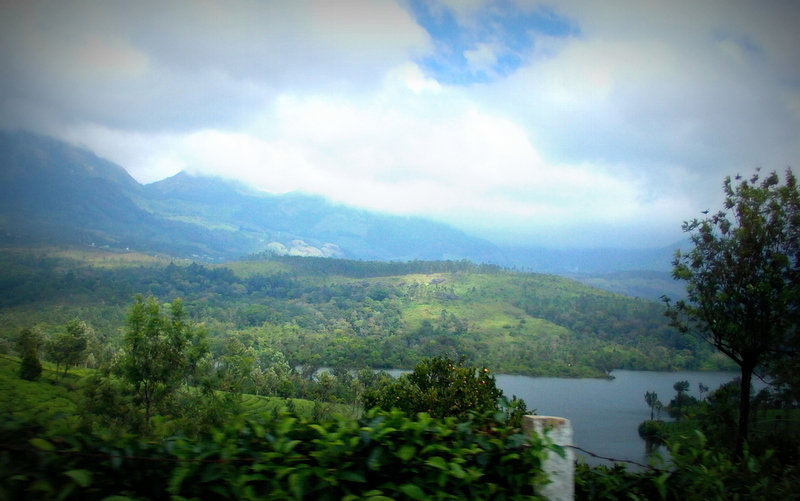 Even though I wrote about the monsoon beauty of Kerala, we had visited God’s own country during winter. 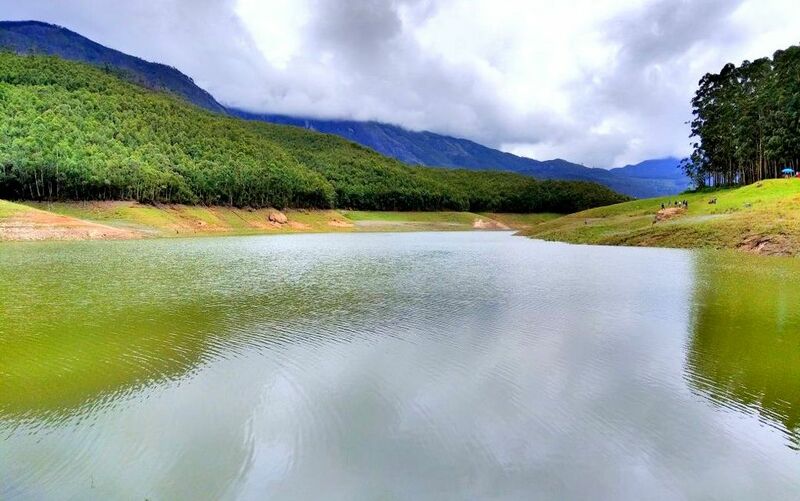 The mountain terrains were still recovering from the 2015 Tamil Nadu Flood that had drowned Chennai. We, however had bright sunlight as company, on all the days. 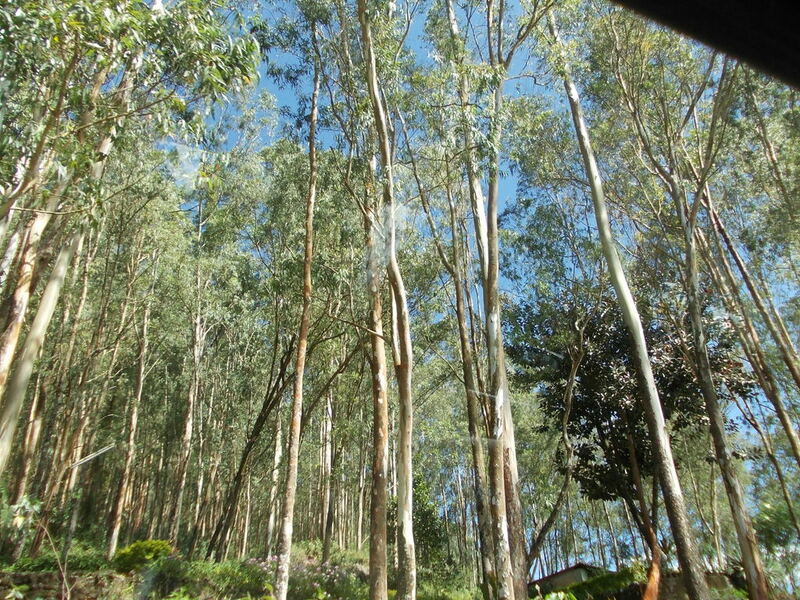 We stayed in Munnar for around 3 nights. 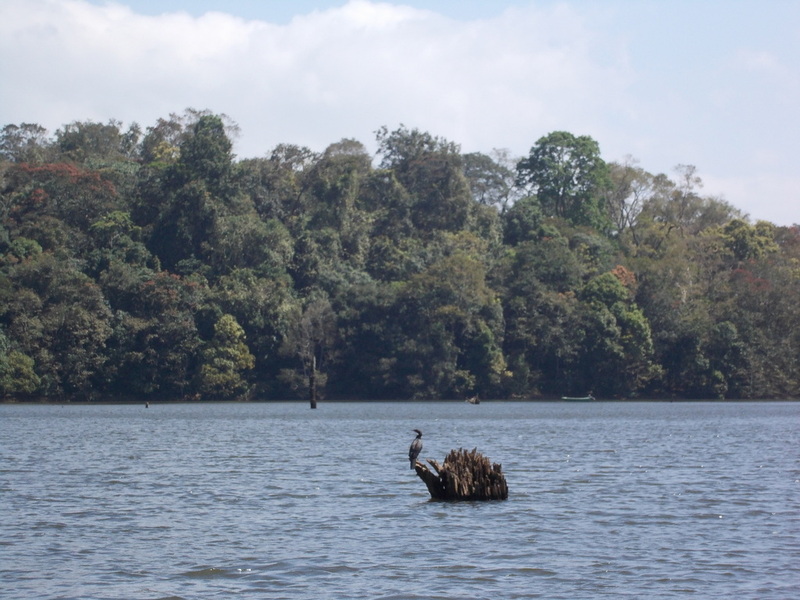 The extra couple of days, rightly, were dedicated for Thekkady, a little known jungle town by the Periyar reserve forest and human made lake. 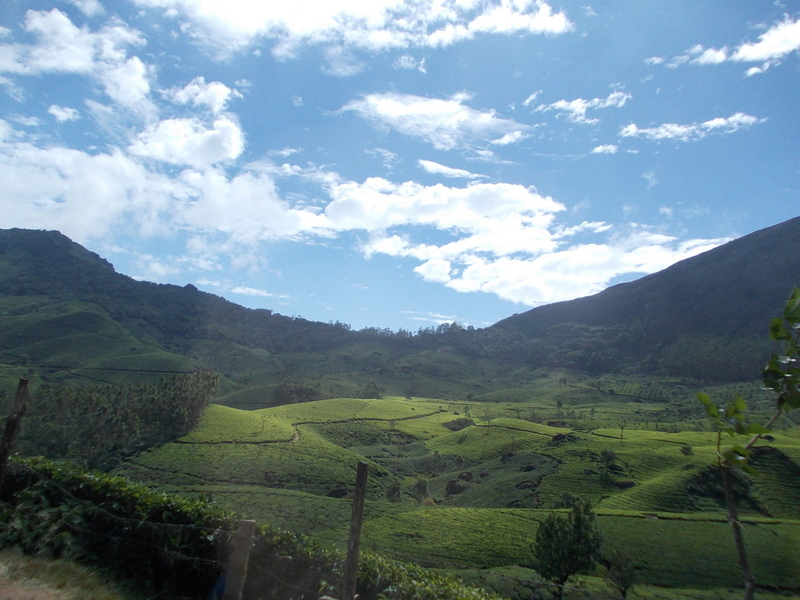 The draconian title of Kashmir of South that Munnar has attained over the decades must not deceive you into a all-Munnar stay. 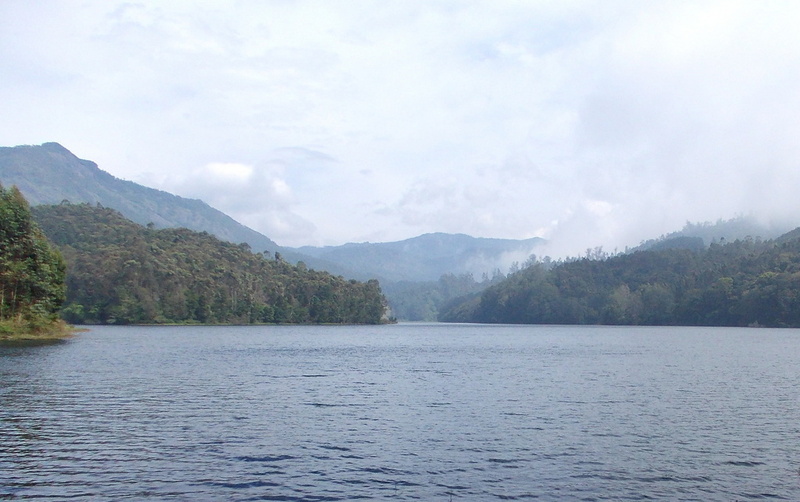 If possible, touch down Munnar and secure a stay in the wilderness of Thekkady. 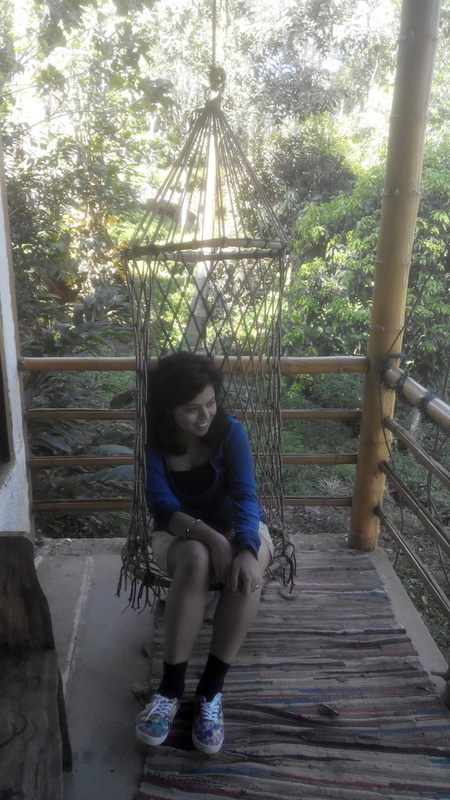 If you have to stay in Munnar, reserve a stay away from the town, preferably in a tree house. The town is anything but small and quaint. It is dirty and crowded with ambitious tourists. The majestic animals are often asset of the temple and flaunt beautiful golden headband. As beautiful as it gets to watch them, I would prefer to stay away from riding one. 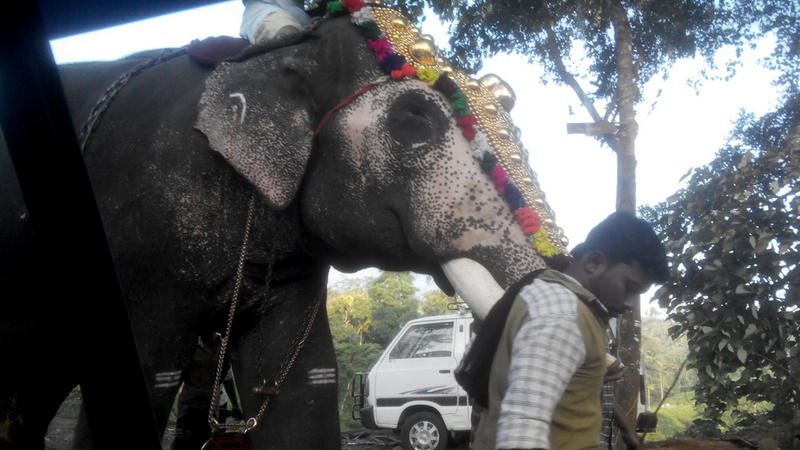 Here, even the marriage processions are incomplete without an elephant. Big Fat Indian Wedding! 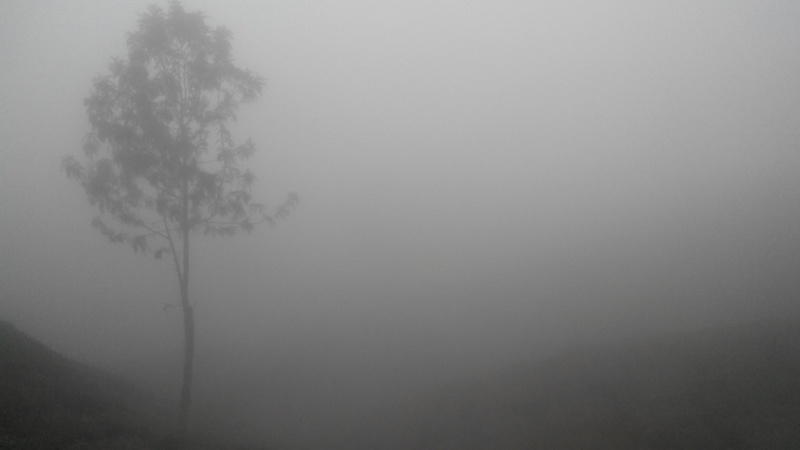 The mist in Top Station rises from the deep of the Earth. Easiest way is to hire a cab or board the local bus from Kochi. Do not forget to spend a night or two in Kochi for the tiny coastal town has plenty to offer for those who love food! And the sea will surprise you with hyacinth layered all over (I always thought they only grow in pond). 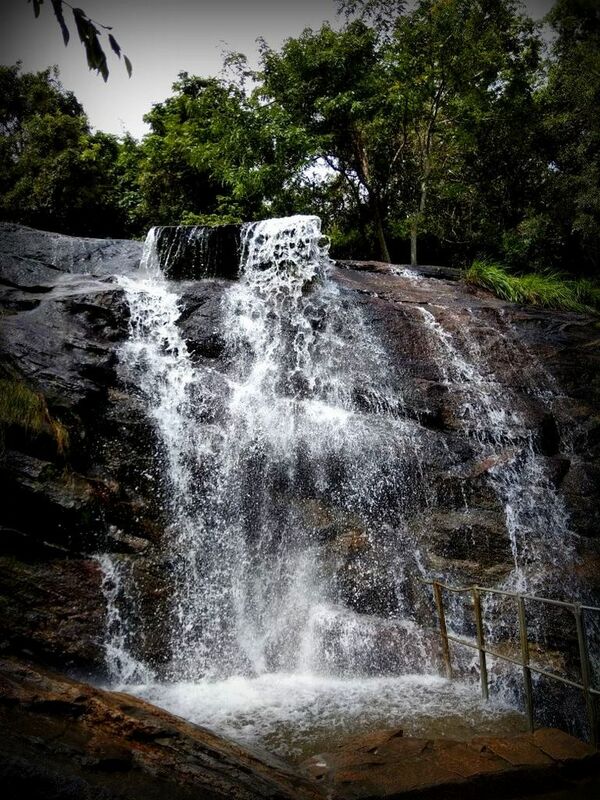 The road that winds up the hilly terrain of Nilgiris, leading you to Munnar is dotted with spice gardens and water falls. 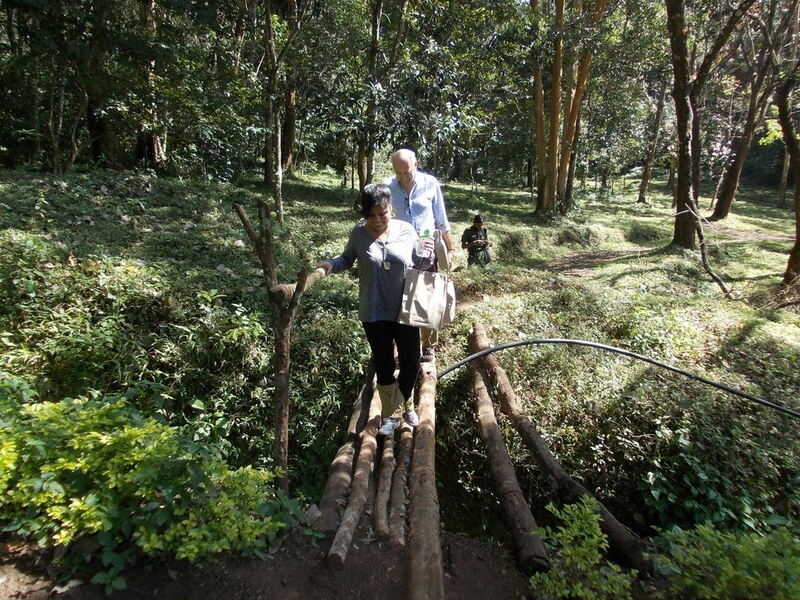 While December may not be the best time to experience the waterfalls (most of them shrunk down to narrow streams), you must visit the spice gardens. 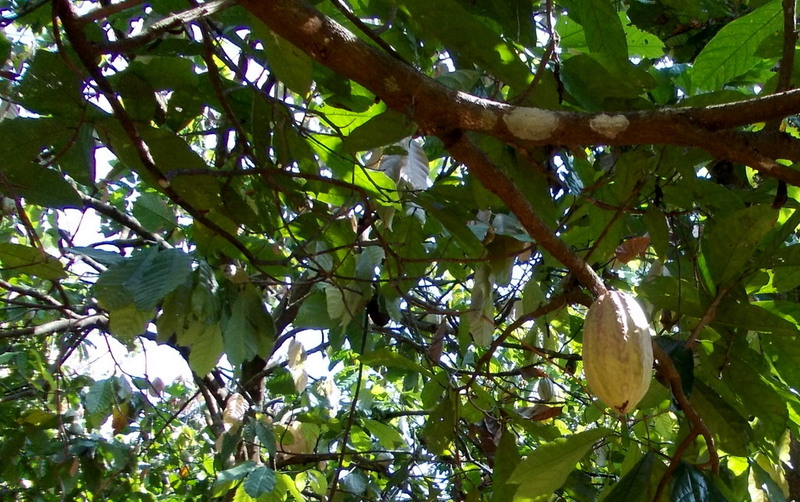 The trees bearing cocoa,green peppercorns (insert a picture), “kochugaach”and many more await you. What do you call Kochughaach in Malayalam? 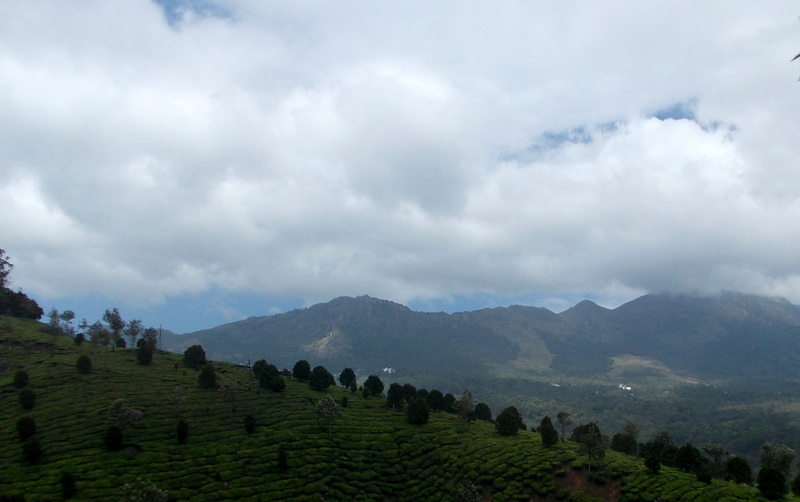 However, Munnar fell prey to overenthusiastic touristy human development. By day, there is lesser dependency on traditional ways of subsistence. Garbage bags on the road, makeshift eateries dotting the road, constructions, and many other threats to economy loom large. 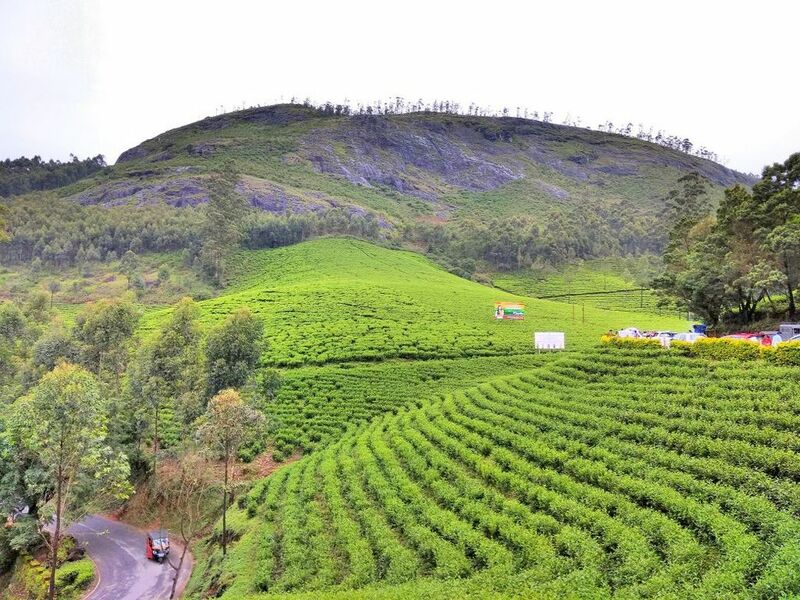 Once in Munnar, run far away from the town. Take the winding roads. 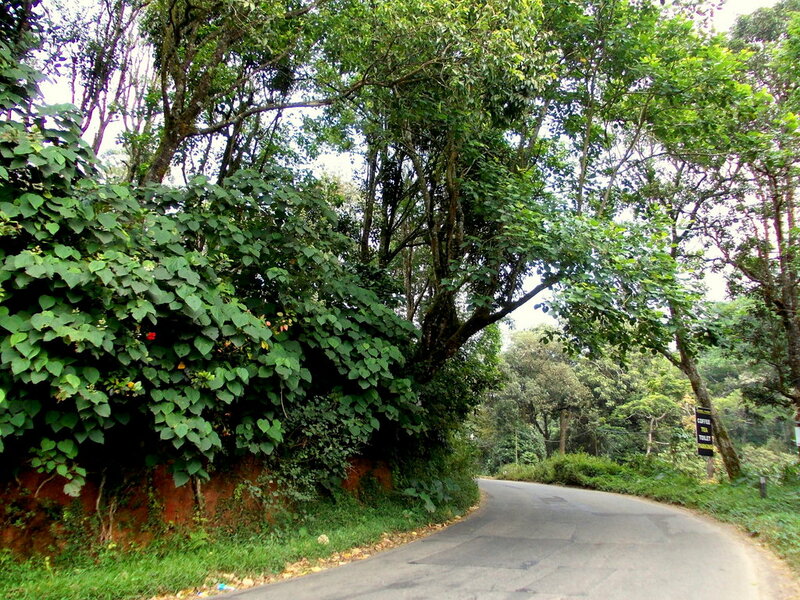 Take the free-fall ride through stepped tea-estates. Each time o the year has its own beauty in the mountain. 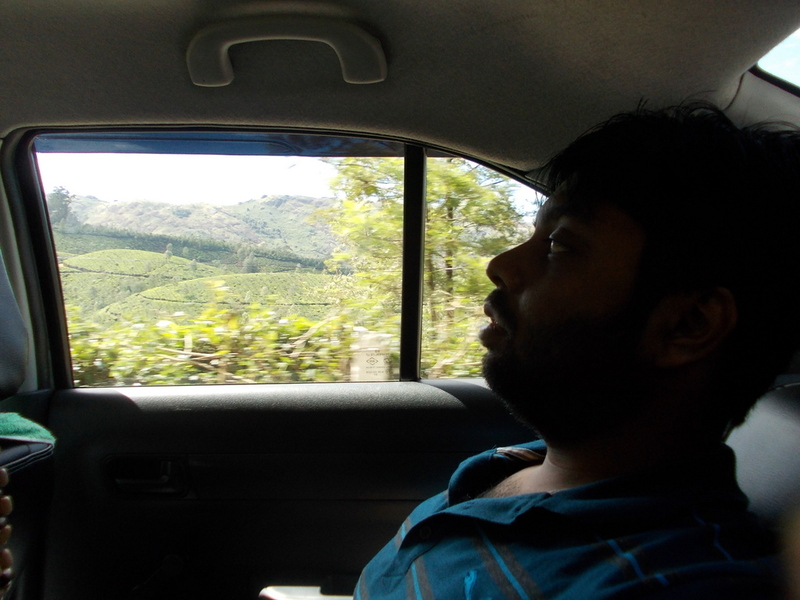 In a couple of hours drive we reached Thekkady, the lesser known gem of Kerala. 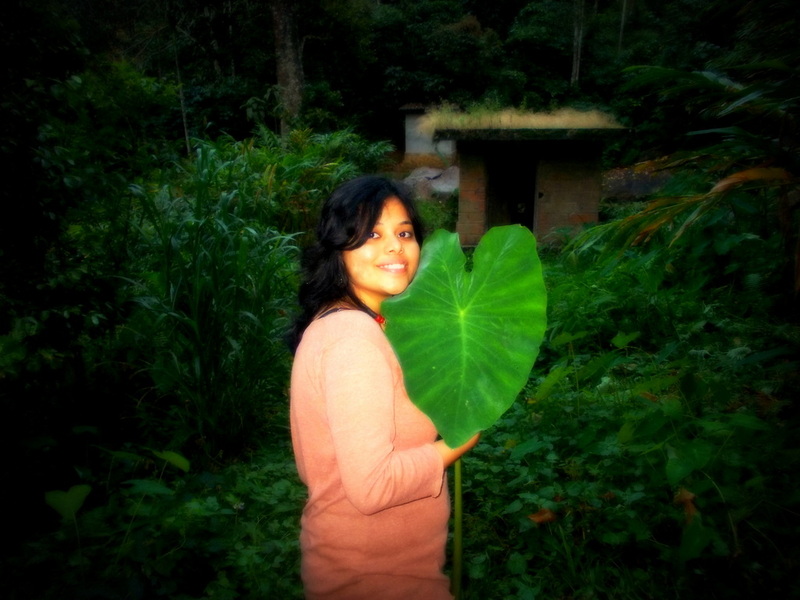 Sayantan wanted us to take a day trip to the jungle. Glad that I refuted the idea! For hundreds of creepy monsoon-creatures. 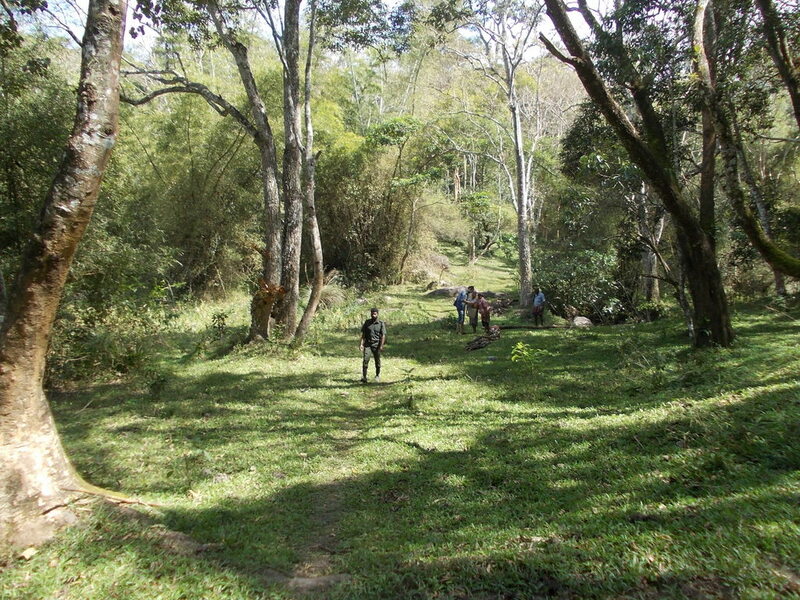 The night trail at Thekkady starts from different slots (1 Pm, 10 Pm and 12 am.) We chose to go with the last one. 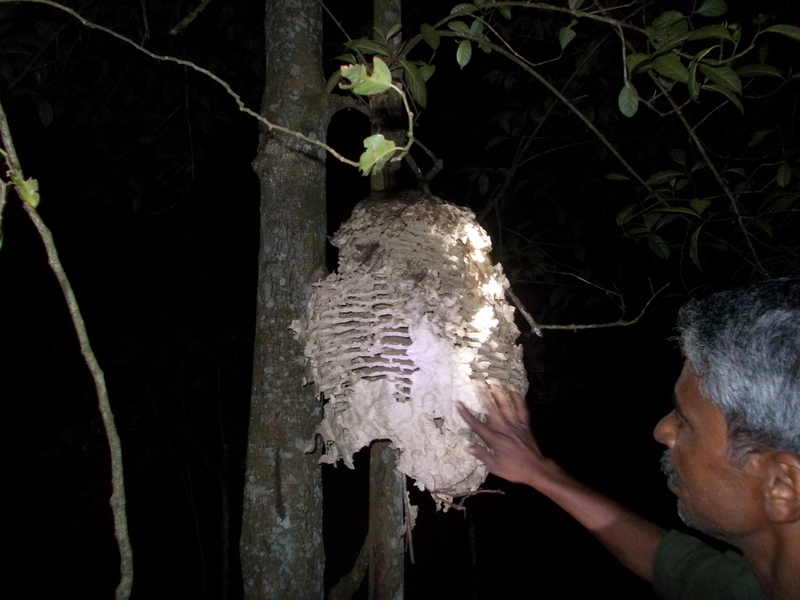 A small snake, an owl’s nest and a Sambar deer are all we encountered. It lasted for about 2 hours. 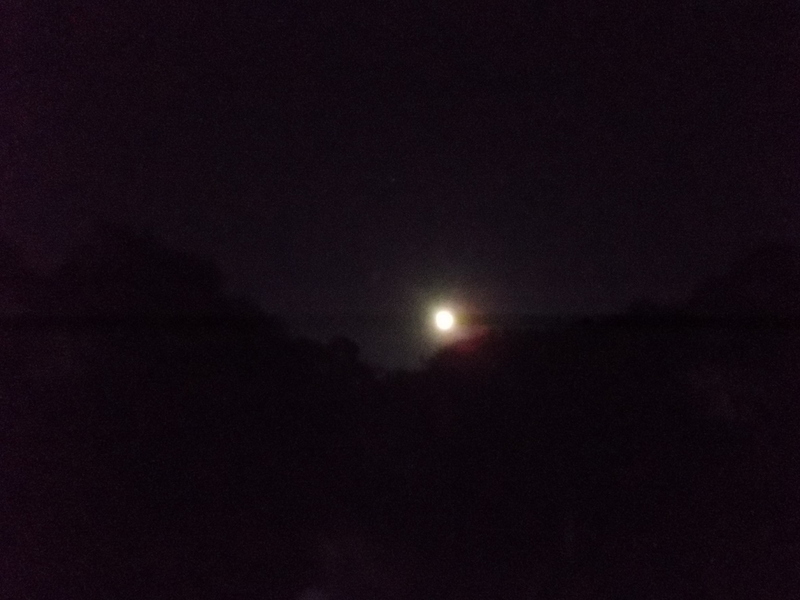 The night was full-moon, fragrant with the goodness of jungle. We saw the carcass of a sandal wood tree. The thief could not complete the task and left the tree half cut, to die way sooner than it was destined to. The guard quoted a price of 15 lakhs for the wood. 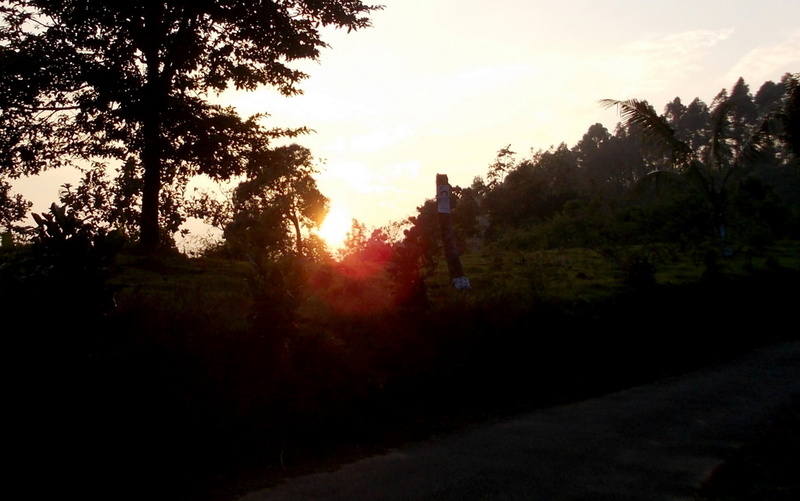 The Trekking continued for the next day, to other part of the jungle. We were a group of 8 people. 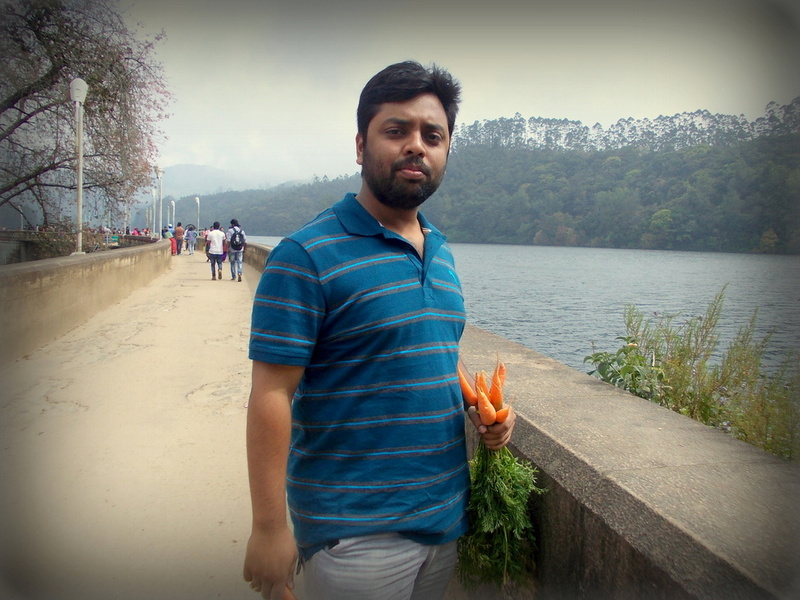 A walk for 2 Km or so, followed by bamboo rafting on the voluminous Periyar lake as the bird sweet-talk all around and another walk back to the base. Meanwhile, you will experience the jungle, raw and unabashed, pregnant with possibility of an elephant watching over you or the tiger following your trail. 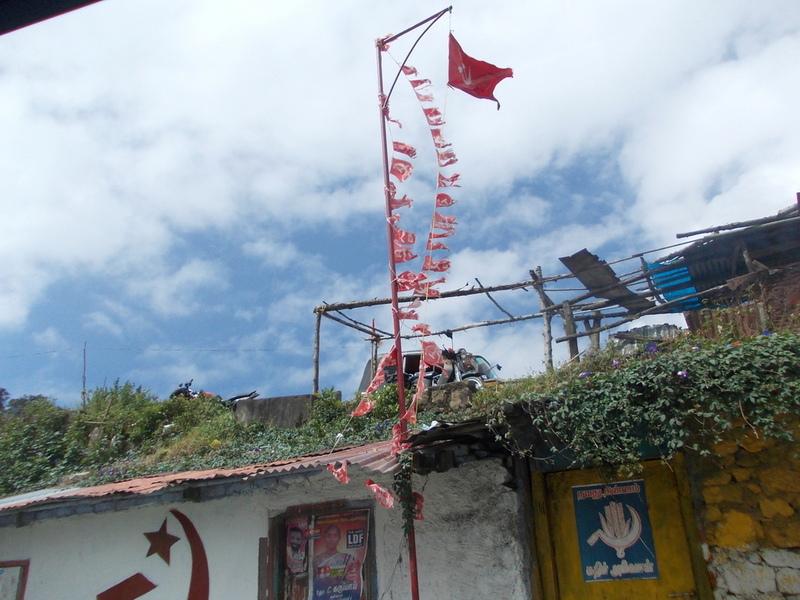 On the way back we came across small villages, women here show case beautiful nose pins. 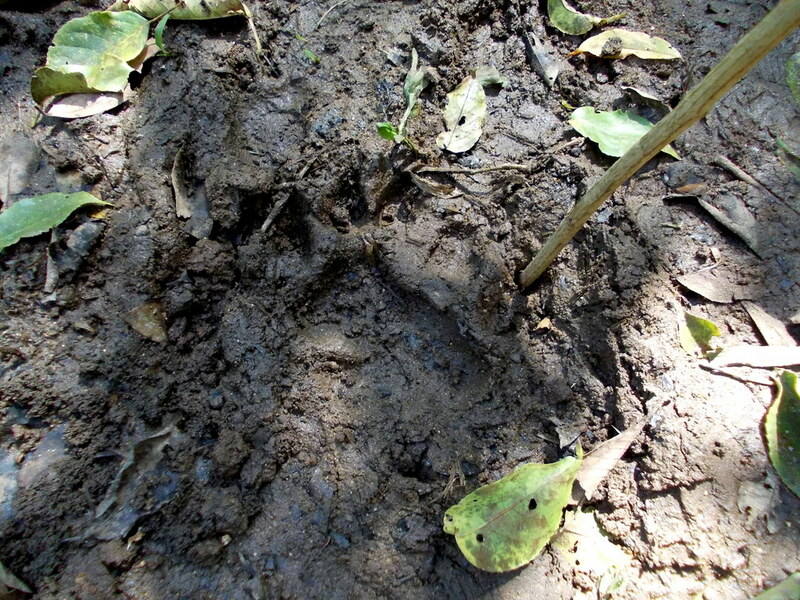 This picture is a tiger’s paw, 2 days old! 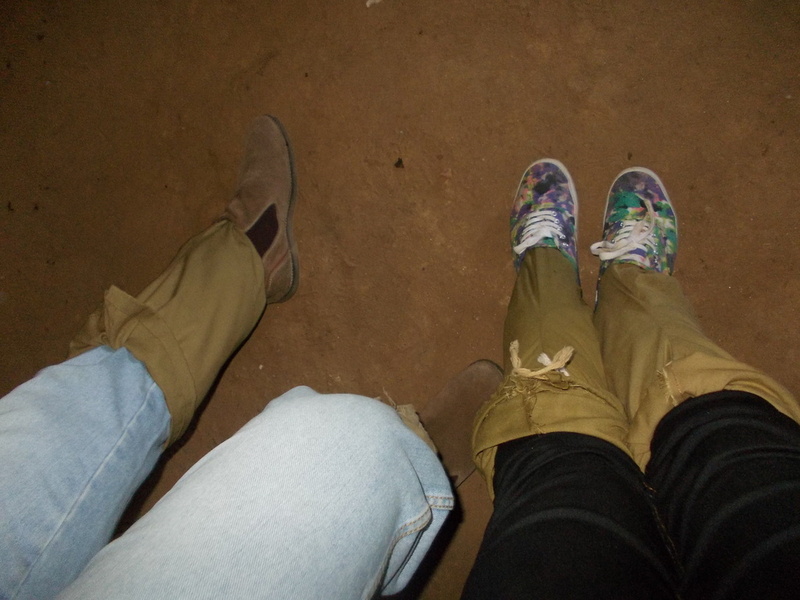 An evening stroll in an unknown town is our inevitable poison. 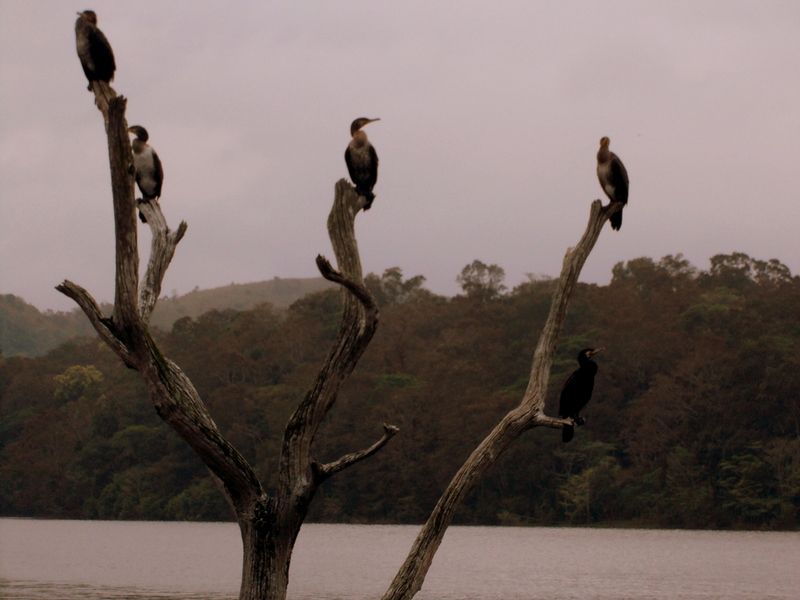 But in Thekkady, the town ends even before you know it. Or may be it does not. It transcends the borders of human habitat and merges seamlessly with Lee Falk’s Bangalla, in the reign of Phantom. To confess the truth, the Aranyadeb is the first love of my life. When in Thekkady, have a meal planned at Our Place. It shall not disappoint you. 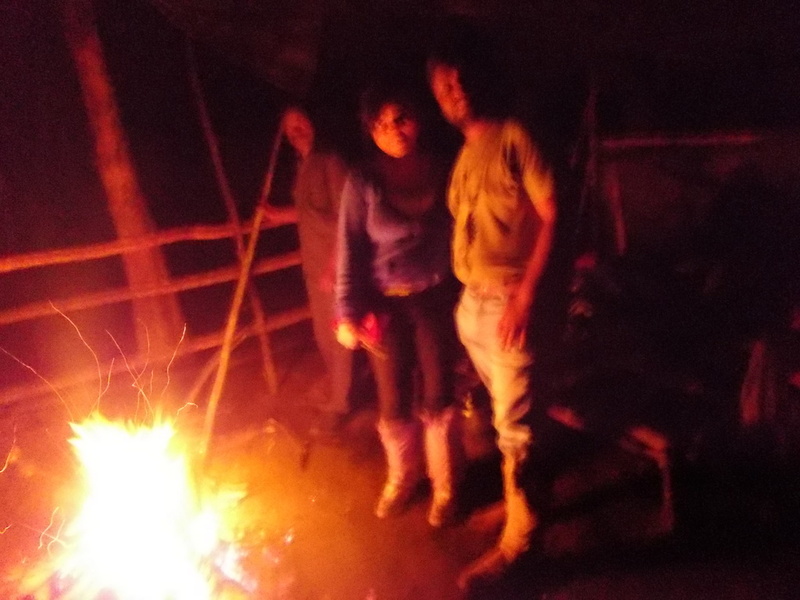 We stayed in an authentic home-stay little off the road from Our Place restaurant. The spooky place had no Front Desk staff when we arrived. Water and power were scarce even though the room was grandeur. 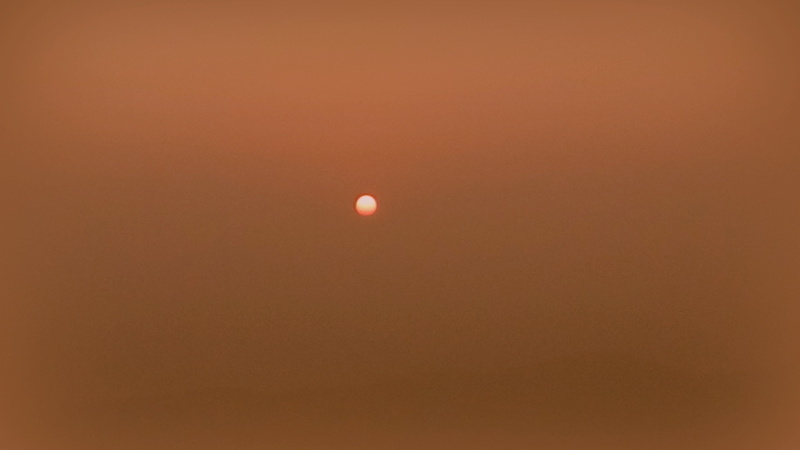 There is a rewarding view across the balcony. Breakfast is pretty basic. Few bananas and egg boiled. Book your jungle trips online. Saves time and very efficient system. Be prepared to eat real spicy platters. Try the prawn Biryani, a specific to Thalassery Biryani. 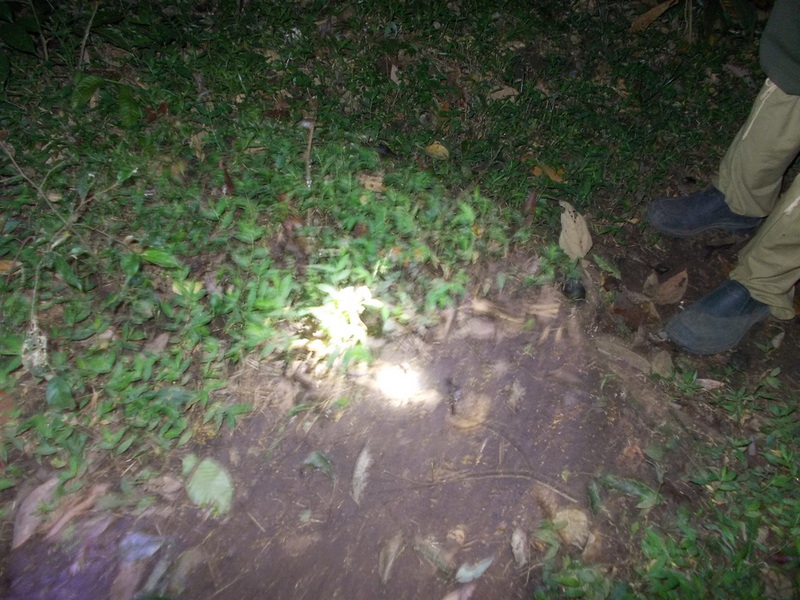 In case you are opting for the night trail, be sure you are fit to run if need be. Please do not litter the jungle. Refrain from using plastic. Carry basic medication, insect repellents etc. Periyar stands somber, saved from the far cry of humans till date. Just a small street of handful hotels, resorts and eateries are all i found, back in December 2015. And I wish it stays that way. Pretty as ever. Mysterious beyond the peripheral human activities. 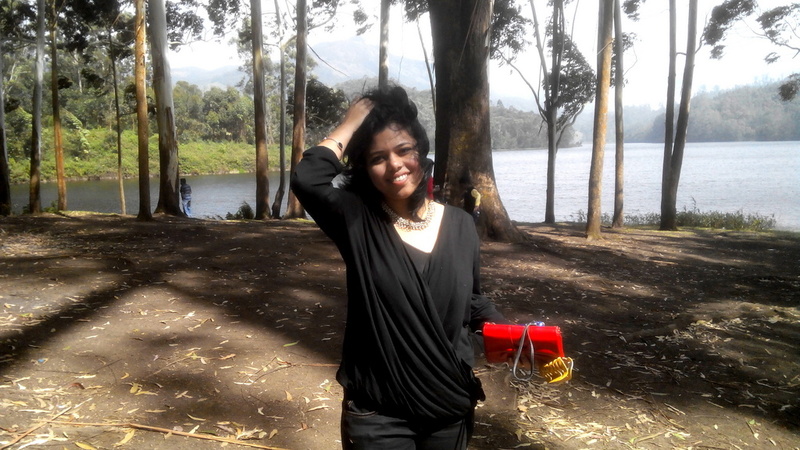 Thekkady astounded me in a different level. There is salvation is the forest. The animals are Bhasha animals (flooded, a term displaced refugees of Sundorbon refers to as they migrate to Kolkata) at that point of time. Chennai flood of 2015 took a havoc toll. The little town gleams in its simpleton identity. 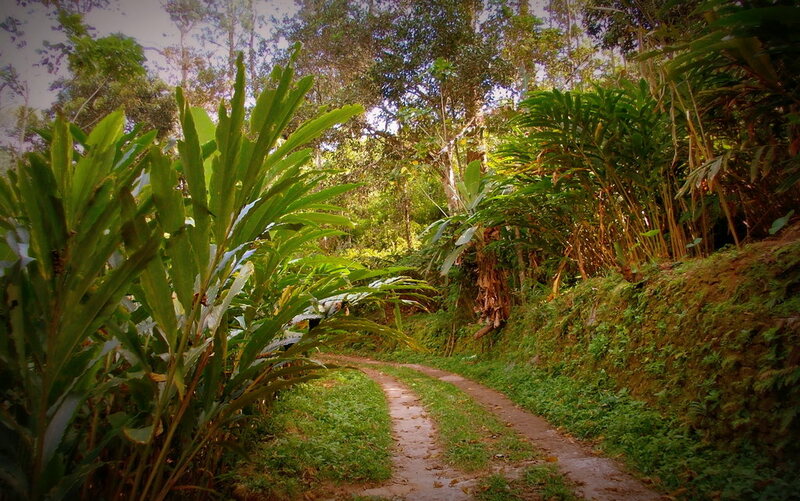 Now that I have my YouTube channel in place, I wish to be back to the jungle once again. To finish the unfinished business. To lay my eyes on the Periyar tiger, face to face. फोटोज कह रहे है, कब आओगे.. I know, right? You may plan a trip come December. Less rain and you can easily visit places in the Jungle. Beautiful place ! Fantastic clicks ! Enjoyed reading this post ! Thank you for your kind words. 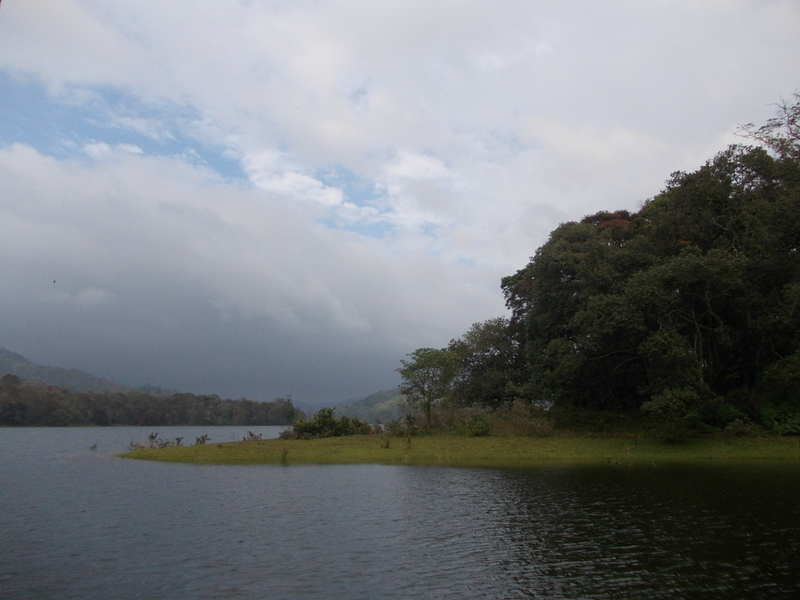 Thekkady deserves it all and more! Wow! Wonderful narrative with excellent photographs. 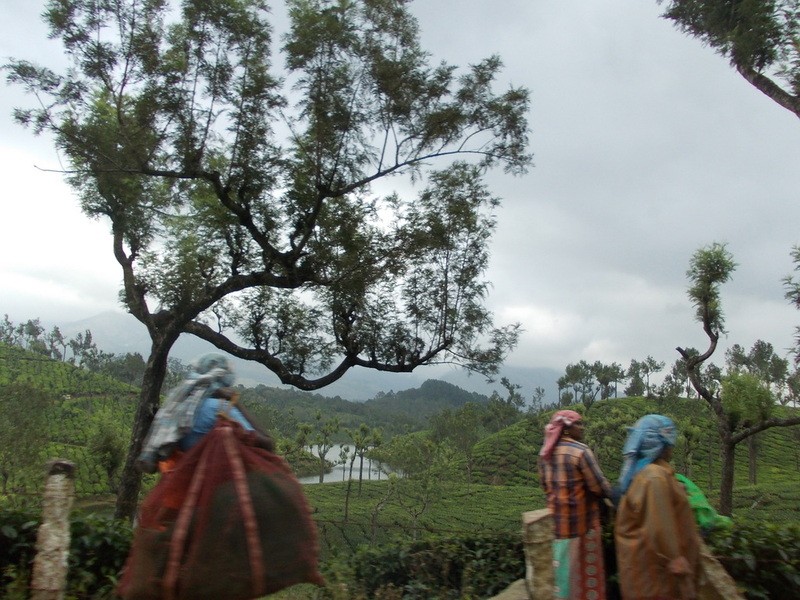 Munnar, as you have rightly pointed out, is dirty little town infested with tourists causing massive traffic jams. 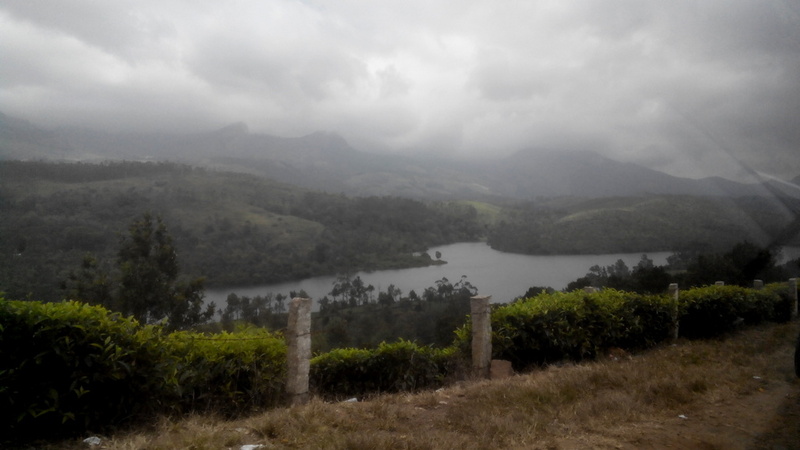 I should love to visit the rest of ‘God’s own country’ some time soon. Munnar was a huge disappointment 🙁 as bad as it gets to point it out. 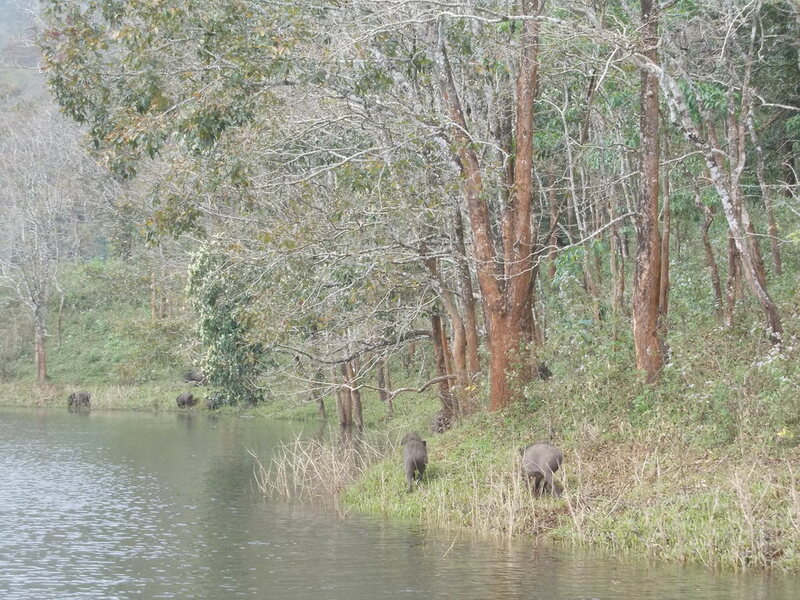 However I loved Thekkady and exploring the Periyar forest! Do visit sometime soon.